The Resident Housing Association at FGCU is an organization that thrives on feedback from the people it effects the most – housing students. 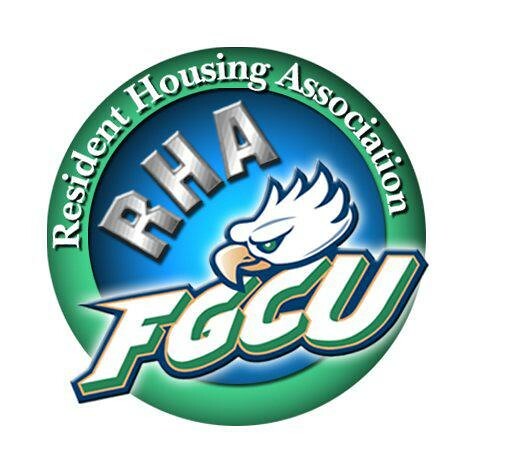 Last year FGCU’s RHA moved into a slightly different format. This new format calls for each building in South Village and 3 areas in North Lake Village to have representative groups of their very own. These groups are called Area Councils. Area Councils are comprised of 1 President, 1 Vice President, 1 Treasurer, 1 Secretary, and 10 Delegates. Each of these positions holds a particular power and is absolutely vital to RHA’s overall success. During Area Council meetings, hall/building representatives vote on ways to improve residence life within their building/area (i.e. events, building repairs, items for the building/area, etc.). Don’t forget to also vote for your Area Council representatives! Residents may only vote for candidates running for a position within their area/hall. Limit one vote per resident. Please contact the RHA Office at 239-590-7673 or rha@eagle.fgcu.edu with questions. We look forward to a great new year with the Area Councils!